I am a motivated and versatile counsellor and psychotherapist who has experience working with clients from all age groups and backgrounds with a range of mild to severe difficulties. I come from an educational and practice-based background that has fostered a specialism in psychodynamic and cognitive behavioural approaches to practice. I am a chartered member of the MBACP (Accred) and have previously worked in both private based practices and within the community. 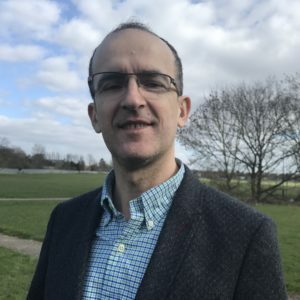 I have a Masters degree (MSc) in Psychodynamic Counselling with extensive clinical experience as a counsellor, dating back to 2007 where I started with Brent Bereavement Service within the Willesden Community Hospital (NHS). I later moved onto working for the Brent MIND and Hammersmith & Fulham MIND. Since 2012 I have been working as a private Psychotherapist for City and West Psychology. I work with individuals with a range of problems including, but not limited to, issues with stress, depression, anxiety and compulsive behaviours. I am trained to work intensively for deep-rooted issues that profoundly impact an individuals’ sense of wellbeing. I often work with people who, in so many areas of life, are seemingly flourishing and yet feel a deep sense of emptiness or despair about their life. I am particularly interested in problems such as: difficulties in forming and maintaining relationships; depression and making sense of traumatic experiences, both recent and in one’s past (PTSD). I offer both longer term therapy more rooted in Psychodynamic practice and shorter term, more directly focused therapy. I have extensive experience of working with people who suffer from depression, relationship issues, anxiety, bereavement, parenting issues, gay, lesbian or bisexual issues. I provide counselling to adults, couples and adolescents. I find great satisfaction in helping people achieve and create a more fulfilling life, providing counselling to individuals and couples seeking to improve their quality of life. My approach to counselling places a great emphasis on working from the outset to establish a relationship of unconditional positive regard where the client feels empowered to be introspective and reflect on their experiences and the issues they have encountered. I treat each person individually with warmth and respect. Achieving this foundation is critical in developing a therapeutic relationship where my clients can develop the self-reflective skills to fully and honestly engage with the process of psychotherapy and, therefore, learn of and utilise the tools that will allow them to deal more effectively with sources of distress in their lives. There are a number of ways I can work with a client to address any issues they experience, including: guided self-help, SKYPE, telephone, face to face individual or couples’ sessions, a short or long term therapy. Irrespective of the methods used, my goal is to make the client become the agent of positive change in their own lives and proactive in their self-development.